Each guitar piece is made of a different wood, with peculiar characteristics, some with acoustic, structural or aesthetic purposes. 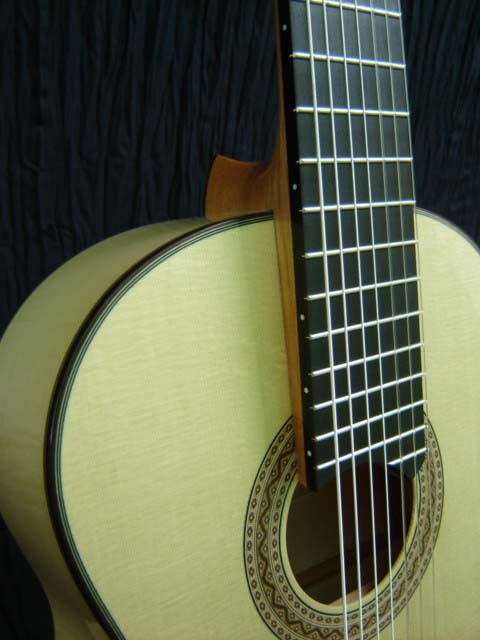 Most important ones are those use don top, sides, back, fingerboard, neck and bridge. In my guitars I use Brazilian Cedar for neck, Ebony or Granadilla for fingerboard and Brazilian Rosewood for bridge.